Rachel Thornton from Home Matters discusses why she thinks helping families find gainful employment and providing children with a safe living environment, violence-free public space, access to healthy food and good education is our moral imperative. December 12, 2016 | Rachel Thornton, M.D., Ph.D. This blog originally appeared on the Home Matters blog in December 2016. Read the full Expert Insight series! Growing up in California, my own early years were not perfect, but by most standards, I had a rather idyllic home life. My parents were loving and devoted to making sure I had what I needed. Our neighborhood was safe, full of families, physically attractive, and provided close by opportunities for safe play, fun outings, and access to good food, good schools, and needed services. And for me, as a child, I felt supported, safe, happy, and free to learn, grow, play, and explore. As a young child even, to me it was a no-brainer: every child should have the same chance to thrive that I did. And yet, even as a child in elementary school, I was aware that many of my friends didn’t have the same chance at the idyllic childhood home that I held so dear. Some of my friends moved a lot from house to house because their families struggled to afford their homes. Others lived in a house that was full of love and stability but were placed in neighborhoods full of violence, danger, or other uncertainties. My internal sense of justice, even then, drove me to wonder why such inequities existed? Why every child growing up in my town didn’t have access to some of the key ingredients that make home all it can be, why instability and poverty and hardship and violence marred their childhoods. There is no question that the impact of home goes beyond what happens inside the four walls of the physical space where families live. My passion for improving the lives of children and fighting for justice and equity are things I found early in life. And they drove me to pursue a career as a pediatrician and public health researcher. Through my training and research, I now understand the data and research that supports the sense I had as a child that what happens at home has tremendous impacts on how children feel, how healthy they are, and how much they and their families can thrive. 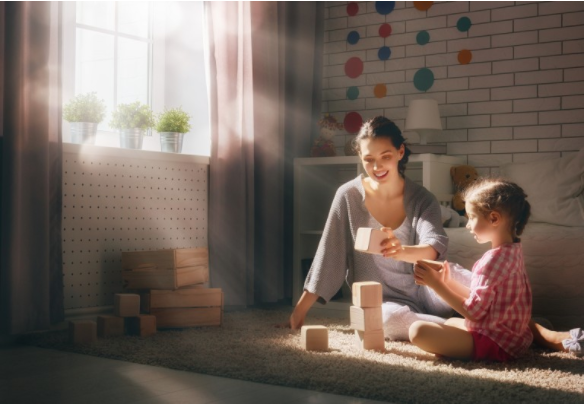 In fact, there is no question that the impact of home goes beyond what happens inside the four walls of the physical space where families live. When I think of home, it is an amalgamation of family, house, neighborhood, and community. It is the place and the people that surround and shape our daily lived experiences. For a small child, this sense of home is almost their whole world. And research strongly supports the notion that what matters for young children goes far beyond the four walls of their physical home. In my clinical practice, I am constantly reminded that parents care deeply for their children, and despite their limitations, they want their children to thrive. And children are incredibly resilient despite life’s challenges. But there is little question that early adversities shape the health of each generation. And many adversities happen at home. Inequity in health outcomes are persistent and longstanding. Furthermore, these health outcomes are driven by far more than health care. In fact, access to health care and biology are not the sole determinants of health. Environmental and social factors are critical. The places where children live, learn and play have lifelong health consequences. The places where children live, learn and play have lifelong health consequences. We know that, in adulthood, people from certain minority groups and those living in poverty have higher rates of premature death and chronic disease including cancer and cardiovascular disease. But the risk factors that produce these health inequities don’t just arise after a person’s 18th birthday. In fact, the conditions in which children live, learn, play, and grow impact their health for life. And what happens at home matters. Toxins or safety hazards in the houses where children live, concentrated poverty, racism, violence, and lack of access to good schools in the neighborhoods and communities where children are reared all play a role. Inadequate access to safe places to play, good food to eat, and lack of access to good jobs and economic opportunities and social supports and services for parents and caregivers can all have negative impacts on the health of children and contribute to mental and physical health problems in childhood and can set children up for long-term health issues that manifest well after their 18th birthday. In the U.S., a land of plenty, child poverty is a growing epidemic. Over the last few decades, childhood poverty has risen from 14 percent to 22 percent. One in five children in the United States lives in poverty. Most of my patients live in Baltimore City, MD, where the picture is even bleaker: one third of children here live in poverty (also, sourced). And poverty doesn’t just affect individuals or families. It affects neighborhoods, communities, and the full totality of a child’s home. Impoverished families live in impoverished communities which lack the economic resources and access to basic goods and services that support good health. The cumulative effects of poverty, and the chronic stress that goes with it, are highly corrosive. They fuel a child’s risk for post-traumatic stress disorder, depression, anxiety and a range of other mental health problems. Such chronic stress can overwhelm a child’s coping responses. In the short term, it leads to behavioral, mental health, and academic problems. Over the long run, it impairs proper immune function and can precipitate the onset of devastating disorders including mental illness, substance abuse, cardiovascular disease, hypertension and diabetes. The human price behind these grim statistics is staggering. The research is unequivocal: early-life stressors exact lifelong, insidious damage on health. Children who grow up in poverty face more threats to their life-long health: higher rates of acute and chronic illness, more frequent hospitalizations, worse developmental and academic outcomes, more substance abuse, worse mental health and higher death rates. Helping families find gainful employment and providing children with a safe living environment, violence-free public space, access to healthy food and good education is our moral imperative. It is also a wise socio-economic strategy, one that will ensure the long-term viability of our city and, indeed, our country. That journey begins by rebuilding our neighborhoods and by insuring that every child has access to a home that is safe, nurturing, and surrounded by the resources and supports that promote children’s optimal development, support the health and well-being of children and parents, and optimize the landscape of economic opportunity so that parents can realize their deep desires to provide a good life, a safe place, a loving and nurturing home for their children to grow and thrive. Bottom line: Home Matters. 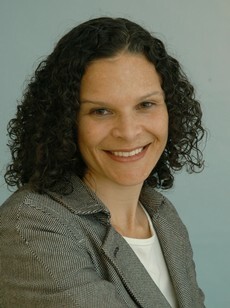 Rachel Thornton, M.D., Ph.D., is an assistant professor of pediatrics at the Johns Hopkins University School of Medicine.